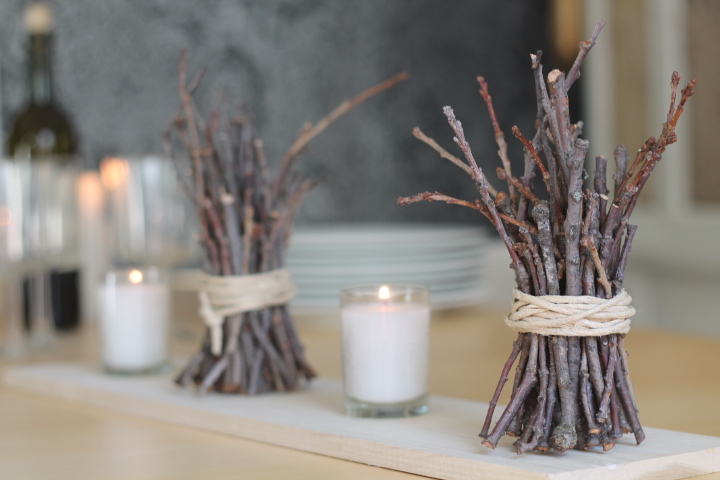 7-inch twigs are bundled, tied with twine and displayed with votive candles on a poplar wood board. The next time you're on a walk with the kids, bring a bag, keep your eyes peeled to the ground and start collecting twigs. 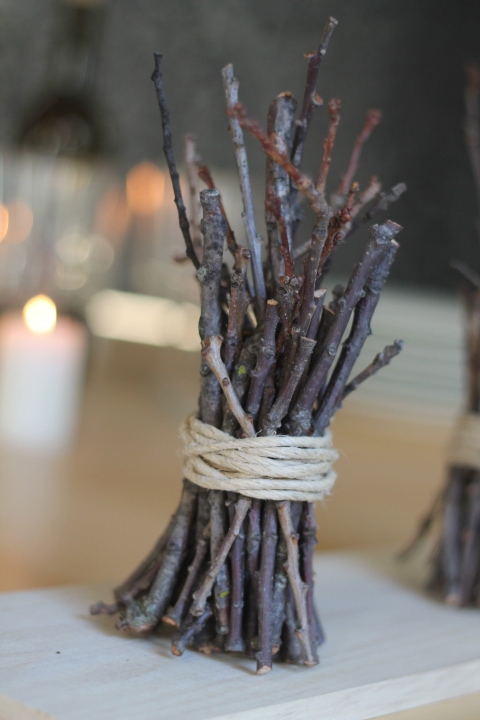 For this you will need: twigs, twine, pruning sheers and rubber bands. 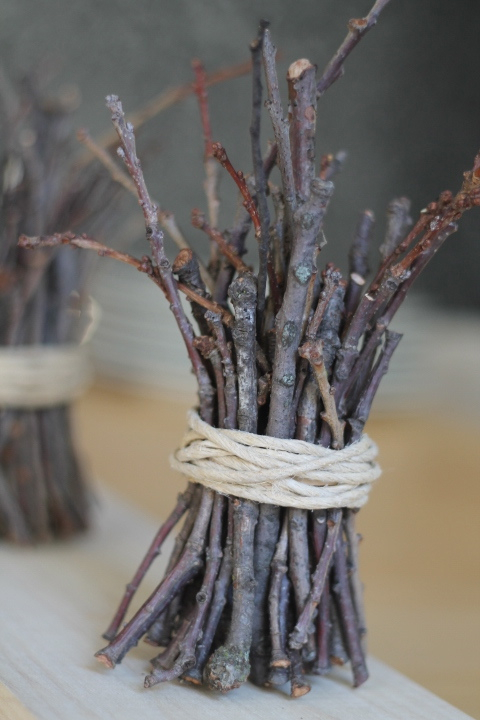 With pruning sheers, trim twigs to desired length. 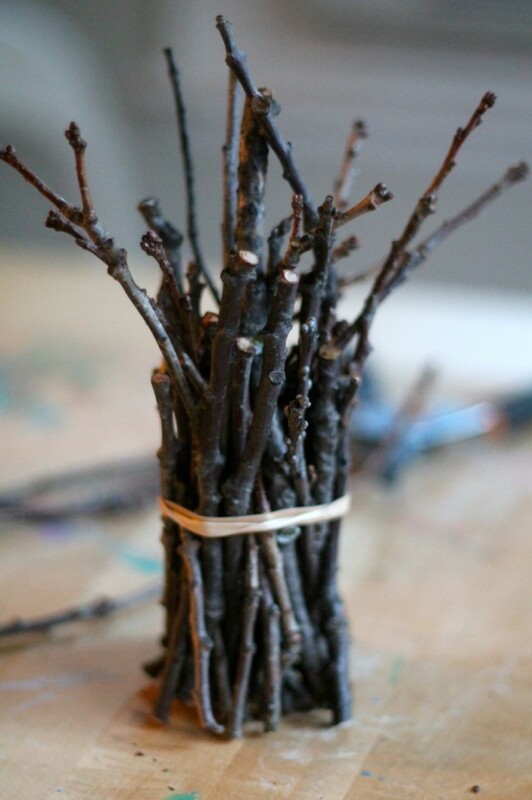 Collect twigs in your hand until you have a bundle size that suits you – bind with a rubber band. 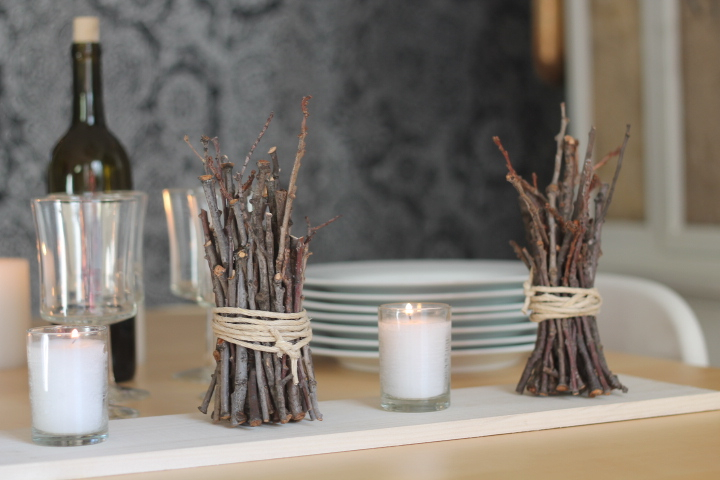 Tap the bottom of your bundle to the table to settle the twigs down and create a flat and sturdy base. 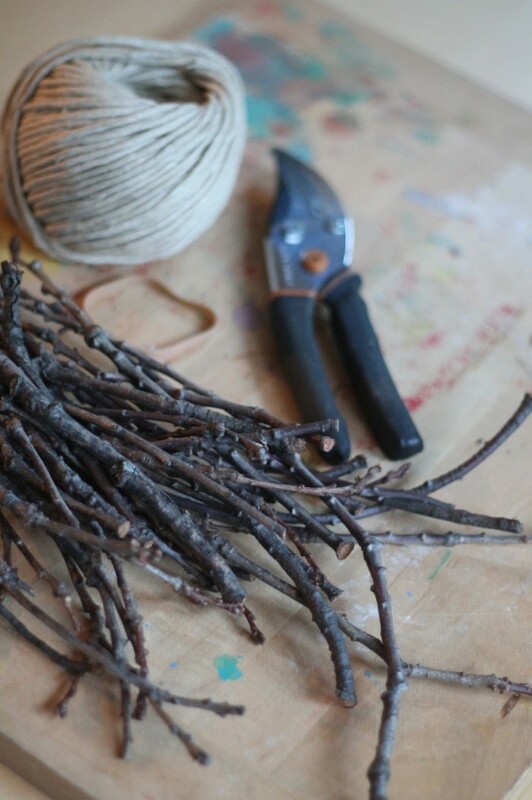 Cover rubber band with twine – tie to secure. I set everything on a poplar wood board (available at home improvement stores). So easy!